Today I made a wrong turn whilst running. It was totally deliberate. My curious mind sometimes cannot be stopped. That meant an extra 2 miles in my run, but it also meant that I got to see another area of Singapore I hadn’t seen before. 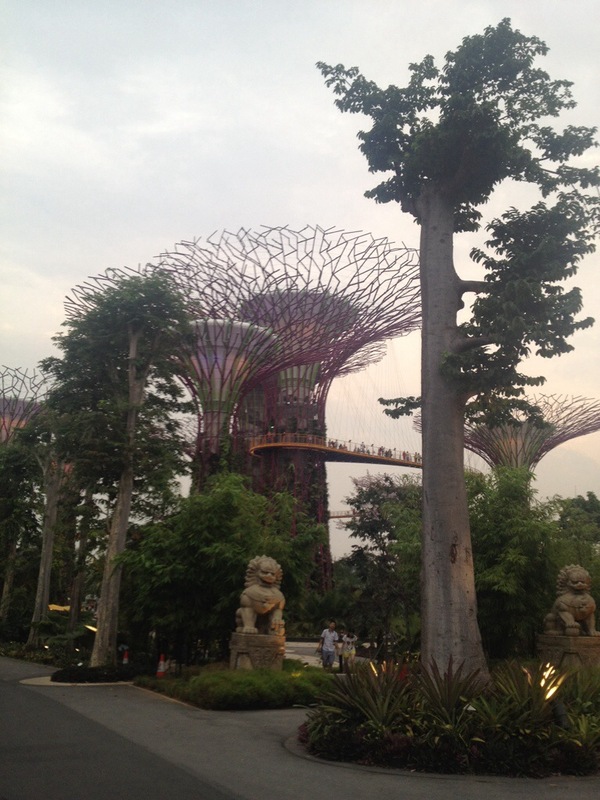 The ‘Gardens by the Bay’ which houses 18 man-made structures that are up to 50 metres tall. These engineering pieces are there to allow for creeper plants to grow and form what will seem like “supertrees”. Noris las traducciones son muy malas, no se por qué, pero que bueno que seas curiosa y visites nuevos lugares!! I will have to make some time to go!!! Perhaps a picOfTheDay to be taken in there….